Kangaroo Black...Jack Star Gold Coast Casino, spectacular - Casino Inside - The gambling industry magazine! Kangaroos, dingo dogs, and desert. Desert like nowhere else in the world. But also large and modern cities. Maybe the most modern cities in the world, and the economy, one of the most developed in the world. From here, there is only a logic link to performances such as quality of life, health, education, economic liberty and protection of civil rights. In short, Australia, a state-continent with a population which, in outstanding proportion – approximatively 80% – bets on games of chance, an activity worth almost USD 20 billion between 2008-2009. Three quarters of the population lives in urban areas, and the East Coast is the most populated, so it was expected that we’d find casinos here in which clients have everything ensured for them, respecting the amplitude of this term. And Star Gold Coast Casino is the place where emotion is felt from the moment you pass its threshold. The adrenaline wave enlarges the pupils and increases the cardiac rhythm. Let the dice roll! 50 years ago, several small localities south of Brisbane decided to unite and formed the Gold Coast, an agglomeration which became urban and which, in half a century, developed constantly and became Australia’s sixth city in terms of inhabitants (population reaching almost half a million people). With a subtropical climate and public pools spread out along the Pacific Coast, the city became one of the most important tourist spots in Australia. Furthermore, the largest numbers of luxury hotels, tourist centers, motels, apartments and accommodations for young individuals are located on the Gold Coast, as well as a large variety of sports and entertainment activities. Three million tourists arrive in the area annually. 70 game tables and pay attention!, 1600 slots, a true gamblers’ heaven. This because nothing compares to the lights, the colors and sound within a room… lined with shiny slot machines. and not only in the main salon, but also in the private halls. There is not one game in the world that cannot be found here. Having numerous denominations, old, classic, favorites, new, regardless of preferences, The Star has something for each and every desire, from Golden Dollars Grand, Lighting Link and Dragon Link to Highway Zone, the only auto jackpot in-network available on the Gold Coast. Even the jackpot can be independent or progressive. And if we mentioned the Highway Zone, we have to specify that the one who wins the jackpot must choose between a luxury car and the USD 50,000 prize. The car is different each month. As such, in September, there was a Mercedes A Class, in October an Audi A5, and in November you can win a Mercedes CLA. There are also mini-jackpot winners, who are happy with amounts between USD 100 and USD 300. As we said, at The Star, there is always place at a table as there are no less than 70 tables. From Poker games, Blackjack and Roulette, to Craps and Baccarat. And if that isn’t enough, you can bet on the childhood game War or the Wheel. Ever imagined a casino where you can bet without cash? Well, at The Star, anything is possible. Under one condition. You have to have a silver card (at least) and you can play, at the video machines or the electronic tables just as you would with cash in the casino. Moreover, all transactions are secured with a pin code, which allow you to enjoy yourself for every penny on that card. And if you’re bored of one game or simply wish to try another, take out the card and the money automatically transferred to the machine and which are unspent shall be found on your card. And this is not the only facility for the clients. 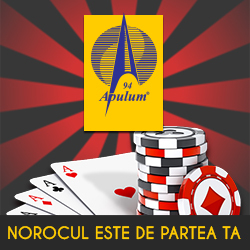 The premium members have the possibility to play within a limited framework, within one of the two exclusive salons. The Suite and the Sovereign, but they can also have their meal at Sovereign Dining. The Suite is located within the north part of the main gambling salon and caters only to Gold or Platinum members within The Star Club. Available to them are no less than 250 electronic games and 20 electronic tables, with classic or new games, as well as Golden Dollars, Lightning Link, Dinomight, Players Paradise, Bulfighter, Dragon Link and 9 Spot Keno. The Suite includes more relaxation areas, a dedicated bar, plus a delicious snack menu, so that all guests enjoy each bite in the comfort of the private game room. With the opening of the Sovereign salon, The Star brought the experience of the private game room. It’s located on the first floor of the luxury sweet The Darling. Sovereign offers members holding Platinum or Diamond member cards a new meaning of luxury which has never before been seen at The Star Gold Coast. With over 200 electronic games, Sovereign offers popular games in-network. games such as Golden Dollars, Lightning Link and Players Choice Superstars, as well as the Dragon Link exclusively.. This salon offers spacious game tables were mini Baccarat, Roulette or Blackjack can be played. Between to game rounds, the Sovereign clients can have a refined meal at the Dining, the select restaurant where the chefs use the most impressive ingredients that Australia has to offer in a outstanding harmony with flavors from all around the world for a truly unique dinner. Certainly, many shall ask themselves how they can become members of these exclusive clubs? Anybody interested must know that they can become a member only upon receiving an invitation from another member of the club and only after requesting the company’s approval, be it internationally, within the state or locally can they receive approval. Eligible members shall subsequently receive more information with regards to the right to become a holder of a premium card and which are the benefits once having gained this title. A casino of such a size required significant support. It’s part of a center with a five star hotel, located right in the center of the Gold Coast. The clients coming from the state capital, Brisbane, reach the place in an hour and a half by car, and those coming in by plane have to travel for half an hour from the Coolangatta airport. Thus, it can be considered a destination even for weekend outings. And the offer is more than generous, besides the luxury hotel, there are class restaurants, theater, conference halls, live music clubs, while the white sand beach is only 300 meters away. With regards to the meals, you better think about what you’d like beforehand. For no other reason than the fact that you can find everything here, you name it, they got it! A fast-food-type meal with burgers and French fries, Italian specialties or maybe sushi or Chinese recipes? A French specialty or delicious seafood? You can find it all in the center’s restaurants. Just choose. Rest or pampering? It’s difficult to give an answer when we speak about the hotel’s rooms. Be it speaking about the freshly renovated rooms in The Star Grand, or those at The Darling, combining luxury with boutique design. And the space is more than generous, an apartment having a surface between 70 and 328 m2. On November 16, 2015, the company changed its name to the Echo Entertainment Group in The Star Entertainment Group as a part of the transition to a single brand belonging to the group. The company’s projects are valued at billions of dollars and the purpose is becoming the main company in integrated resorts development. On October 16, 2015, The Star Entertainment Group and the partners from Hong Kong Chow Tai Fook Enterprises and Far East Consortium signed a contract with the Queensland government as to redefine the Queen Wharf in Brisbane as a result of a three billion dollar investment. 3,000 apartments and 1,100 hotel rooms, of four, five and six stars shall be built until 2022. Another USD 500 million shall be invested in Sydney for a new hotel and an apartment tower-block and another USD 500 million for the improvement and refurnishing of The Star Sydney. And in the future, another USD 850 million shall be invested in The Star Gold Coast.